I've spent the last few weeks working on a plan for our new garden space. I've been leaning toward raised beds and finally realized the best way to decide what layout I like (and estimate the cost to build it) was to go ahead and draw it up. I usually hop on SketchUp to draw floor plans and layouts, but today I wanted to do something quick and tech-free while the kids were eating breakfast, so I pulled out a piece of paper and my architect's scale. 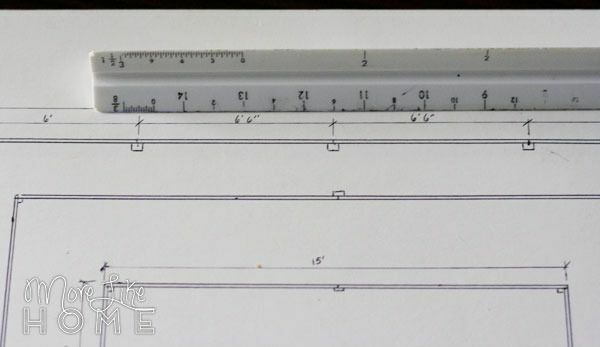 This is my favorite low-tech tool for making scaled drawings, and it's fun to boot! 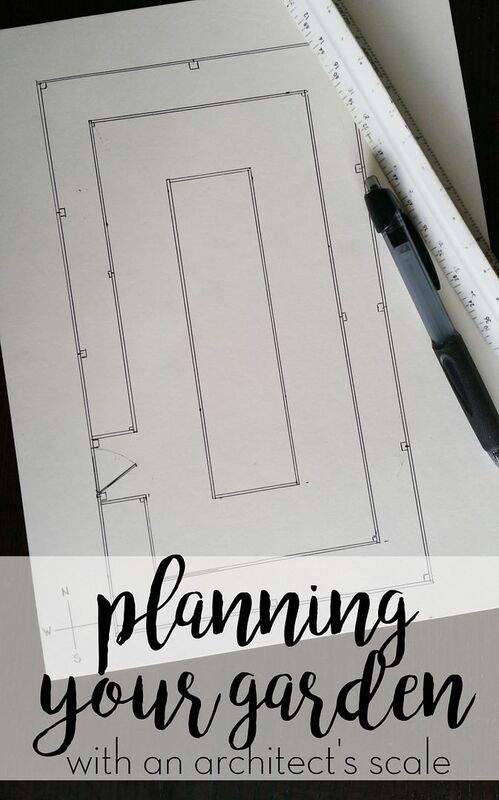 I'll share a few easy tips to get started with one, but first let's start with our garden plan. This landed us in the world of raised beds with high enclosures. Then I was off to pinterest to search for ideas. 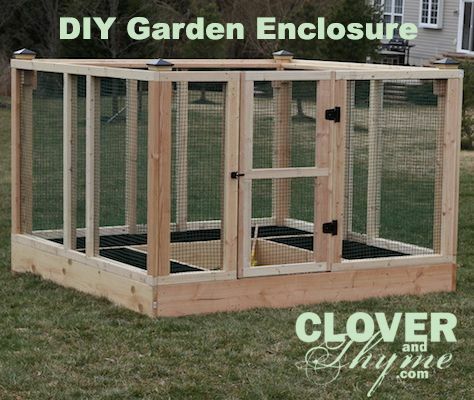 I loved this simple enclosure/raised bed combo by Clover and Thyme. 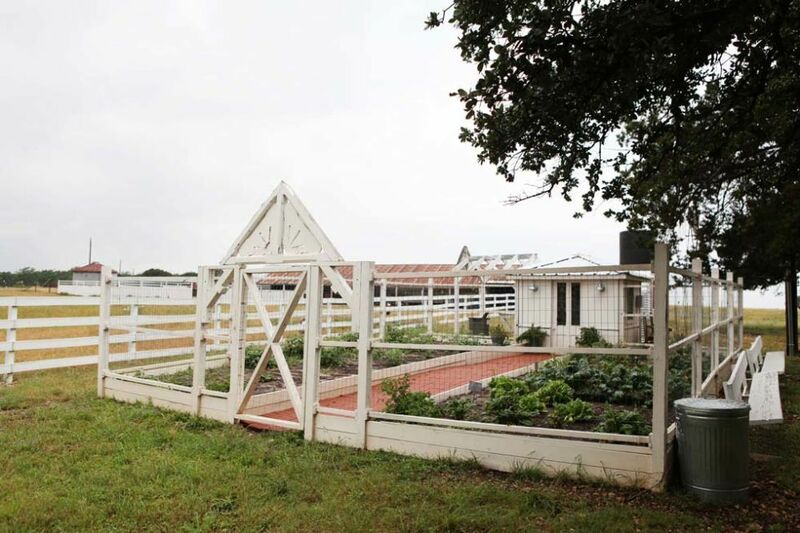 And who doesn't love a little Joanna Gaines' charm? I love the style of this one, but I'm not as crazy about the huge garden beds. Part of the point of raised beds is staying off the dirt so it doesn't get compacted and that is lost on this layout, plus it means more area for weeds to pop up. But still... it's oh so pretty. Then it was time to start working on my garden layout. Our new yard came with a pretty big garden already in place so I'm just working with that space. I started by measuring the existing garden. 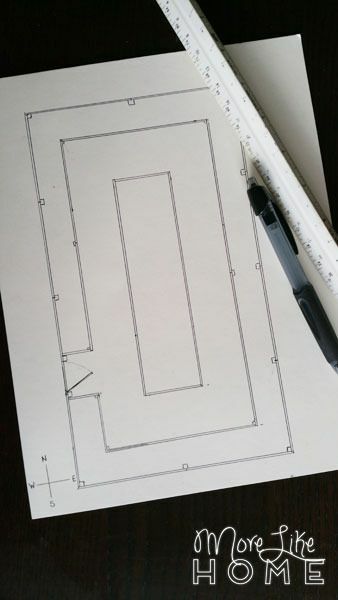 It was 14' x 25' so I drew a box that size on my paper, then got to work hashing out the raised bed layout. I decided on 2' deep beds around the perimeter (I should be able to reach things in the back easily), and a 4' deep bed in the center with a 3' pathway all around. These wide pathways are important if I do grass instead of gravel pathways because I want to be able to get the lawnmower in there! Grass saves a lot of money over adding gravel, plus I'd rather kneel on grass while I'm working. I also figured things like fence posts and a doorway into my drawing. This plan should roughly double the growing space of our last garden! So going from left to right each inch (the longer lines) is marked as one foot. 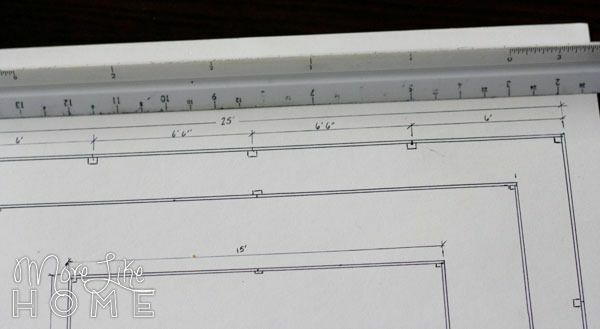 (The right end of this edge starts the 1/2" scale. 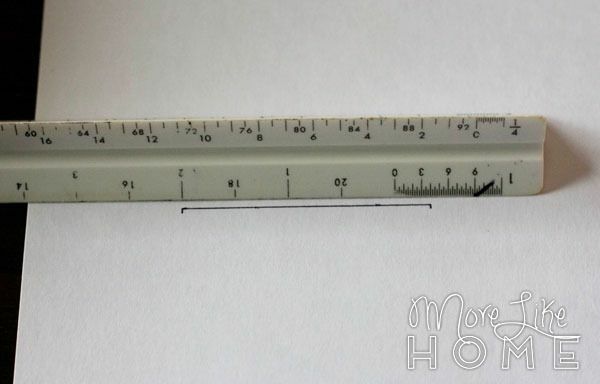 Using that scale, 1/2" on your drawing = 1' in real life. So measuring from right to left each 1/2" is marked as one foot on the shorter lines. For the 1" scale use the long lines, 1/2" scale use the short lines.) Make sense? Two feet, plus four inches on the inch scale. And the overall length of 25'. 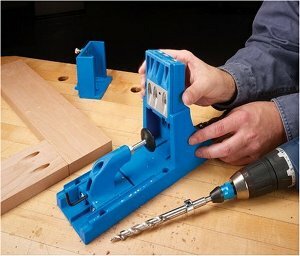 The only catch to hand-drawing over using a computer program is that you have to do a little math and make sure those measurements add up. My post measurements (6' + 6' 6" + 6' 6" + 6') should add up to my overall measurement (25'). 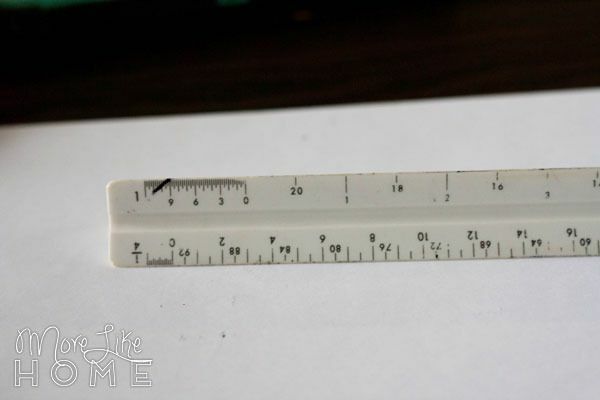 It might be time for a new ruler. I've had this one since college and it's... missing a few numbers. It's also easy to double check things if you forget to write them down. Like here you can see the outer bed is 2' wide, the path is 3', and the inner bed is 4'. 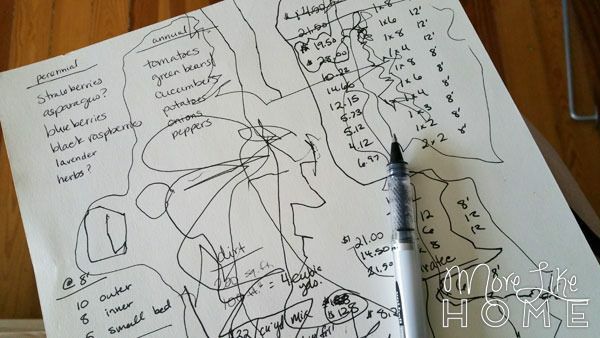 I would definitely recommend starting with a pencil so you can erase to make changes (I usually start with pen... and usually regret it) and you can always go over it with a pen or marker when you finalize your plan. And that's about it! 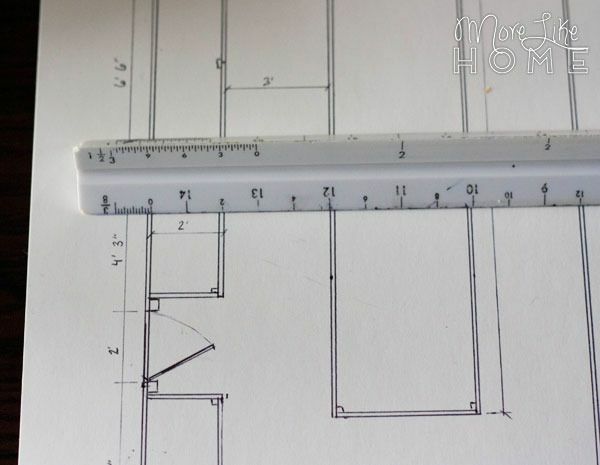 It's really a pretty simple tool to use, and a great way to make accurate, scaled drawings. It's especially handy if you're working where laptops fear to tread (garden? I think not.). And I love for my boys to see me working with my hands instead of on the computer all the time! As for the rest of the garden planning, we've been calculating a lot of costs for things like cedar beds vs. cinder block beds, fencing, soil, and compost. I've also just started looking into sheet mulching as an option to create really rich, healthy soil in our garden beds. It's basically layering different organic materials like compost, straw, dry leaves, etc, and letting them compost down together in the bed. I've been reading about it here and here if you want more info. 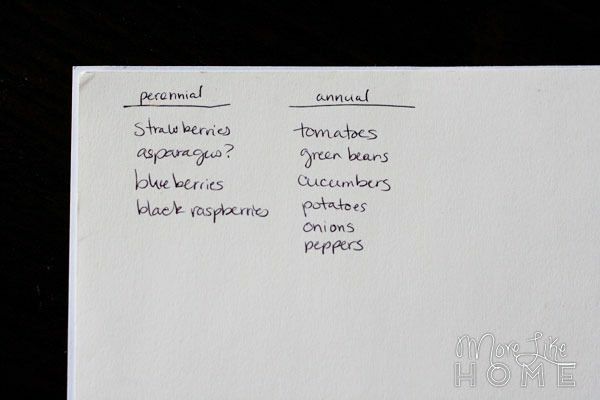 I also started a list of things I want to grow so I can start working on placement for companion planting. I'll use my scale to divide my garden beds into 1' squares so I can work on our Square Foot Garden layout. Then I turned my back for two seconds and my list looked more like this. Whether we actually get something planted or not, we're excited to start getting this garden put together. And we are loving our new backyard. 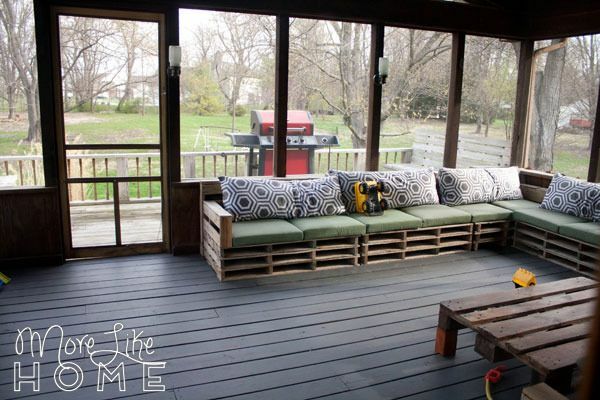 Plus the screened-in deck that overlooks it (pallet furniture courtesy of the previous owners!). It's the perfect place to finally hang the Christmas gift Husband got me right when we found out we were moving. It instantly became the best seat in the house. 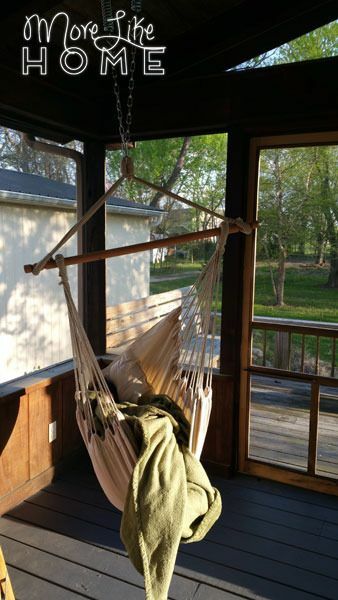 Hello, hammock chair. Let's be BFF's. I keep calling it Mommy's Chair but no one is taking me seriously. So I keep finding boys in it. There's actually one in there now under all that blanket. Have you ever sheet mulched before? 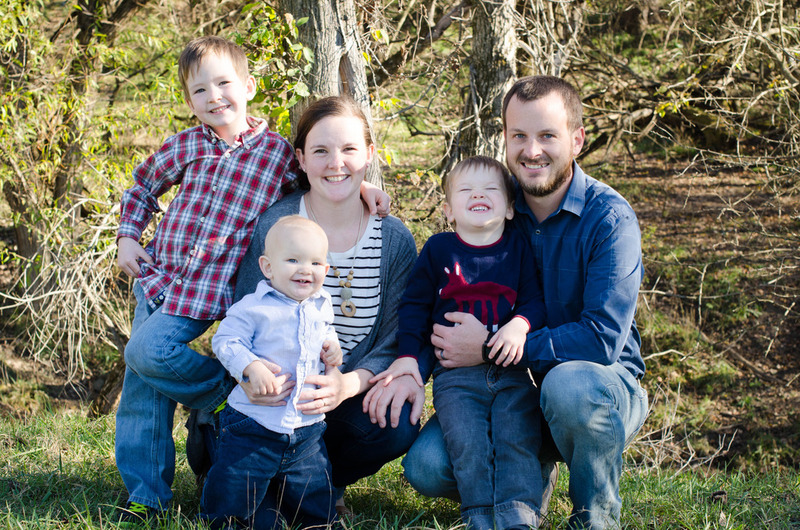 We're looking for any tip, pros, cons, really any advice. 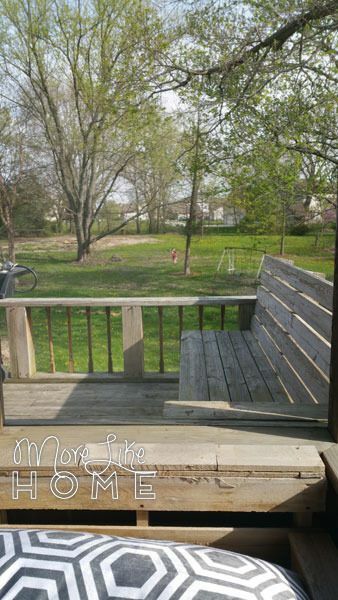 We'd also love to hear any thoughts on cedar vs. cinder block beds. 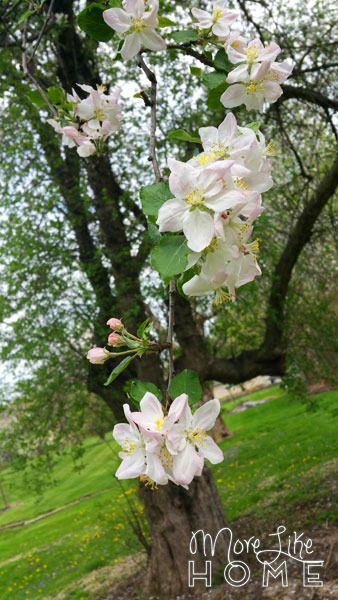 And just for fun, let me know what you're planning to grow this year! Delightful blog. I love reading all your posts and seeing all your creative "doings" or "goings on" as we say here in the south. You're very talented and I can see you are your parents child!